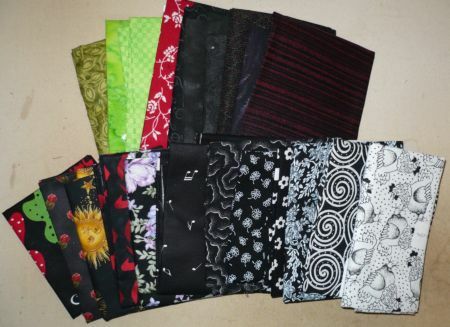 I belong to several on-line quilting groups and participate in a couple of birthday swaps. As a result May is a month of Squishies. For the past 4 or 5 years I’ve participated in a centralized FQ swap. The hostess gathers the FQs from all of the participants at the beginning of the year sorts them back out and then the week of your birthday you get a package of FQ in the mail. The FQs I received this year are pictured above. The second swap I participated in this year was a decentralized block swap. We were divided into several groups so the # of blocks wouldn’t be overwhelming and we make a block for the group members and send it to them for their birthday. We were allowed to specify colors and blocks if we desired. I picked the Pennsylvania block in blue and white. I plan to alternate these blocks with blue and yellow star blocks. Maybe by next year I’ll have a birthday quilt.